By graduation, the routine activities of the average Marquette student really add up. 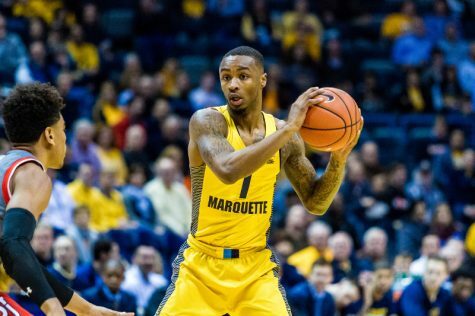 Marquette was barely on the radar during my college search. If you had asked high school junior me which state Milwaukee was in, I might have said Nebraska. The only thing I really knew was that the school played basketball in the BIG EAST. Obviously, as I came to know the university beyond its athletic accomplishments, I was hooked. After being accepted, I flew to Milwaukee for a weekend visit and was greeted with my first (but unfortunately not last) subzero temperatures. That weekend gave me my first taste of the Marquette community I would grow to love over the next four years. Under the pretense of father-son bonding (but likely an effort to steer my college decision), my dad bought tickets to Marquette’s Sweet 16 and Elite Eight games in Washington, D.C. I watched the win over Miami and a tough loss to Syracuse. On the ride home, it wasn’t the big loss that I remembered, but the atmosphere. I was impressed that so many students traveled halfway across the country to watch their team. It was this electric atmosphere, this palpable sense of community that really solidified my decision to come to Marquette. So, when I tell people basketball is critical to Marquette’s identity, I’m not joking. It’s not the wins and losses. It’s not the NCAA Tournament appearances. It’s the community. And nothing showcases the sense of community I think makes this school so unique better than basketball. 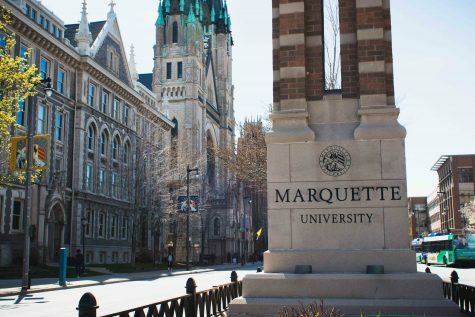 Growing up in Wauwatosa, I always said I could not and would not go to Marquette. It was too close to home, and I wanted to discover a new city. I toured universities all around the Midwest and finally Marquette in April of senior year. Despite an ugly Milwaukee spring day — 40 degrees and rainy — I couldn’t deny I loved the campus. I knew I wanted it to be my home for the next four years, even if only 10 miles from my other home. The positive energy I felt on the tour was something I hadn’t experienced at any other school. Students were excited to be at Marquette. 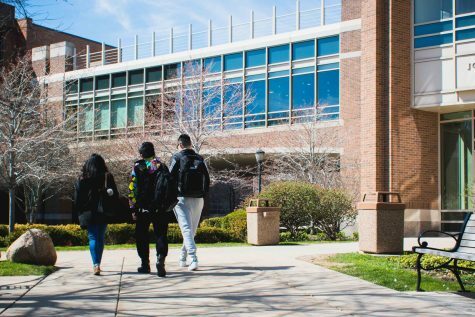 They stopped to talk to friends on the way to class, held doors for each other and visited with professors in hallways. I was surprised by the spirited and welcoming community inside these buildings along Wisconsin Avenue I had driven by so many times. Marquette’s strong spirit, pride and tradition are what attracts most of us here, and that energy bleeds out into the city. Four years after my amazing tour on that miserable April day, I realize Marquette would not be the place it is if it weren’t for Milwaukee. 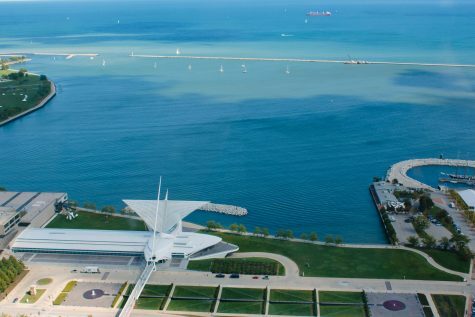 Most of us don’t choose Marquette because Milwaukee is our destination city; rather, we choose Marquette first and end up loving Milwaukee, too. I don’t know if I’ll live in Milwaukee forever, but I love that my roots here run so deep. Calling this city my home comes with a lot of pride now more than ever before, and for that I have Marquette to thank. With spring break over, we seniors have only the final weeks of Thursday night bowling and graduation to look forward to. As daunting as it is to set my eyes on “the real world,” I find solace in the fact that Marquette has provided me with the tools I need to find a job. To begin, I interned sophomore year in Washington, D.C. with the Les Aspin Center for Government. At 19, I wasn’t old enough to walk into a bar but was able to gain invaluable experience on Capitol Hill. Junior year, I studied abroad in Madrid. I learned Spanish in a very practical sense, taking classes in the language and living with a host family. Just a few weeks ago I experienced the incredible network of Marquette alumni all across the country. I’ve always heard about the “Marquette Mafia” and their willingness to help young professionals with jobs, but never truly understood until the Tribune’s 100th anniversary celebration. Journalists, editors and CEOs — all Marquette grads — came back to Johnston Hall to reminisce on their time with student media. They handed out business cards to us nervous kids about to graduate. Stories were told and connections were made, easing a lot of anxiety and, in some cases, leading to interviews and potential jobs. So, thank you Marquette. I got this.